Why we advise you to use this drink industry promo for your marketing campaign? Raise brand awareness. 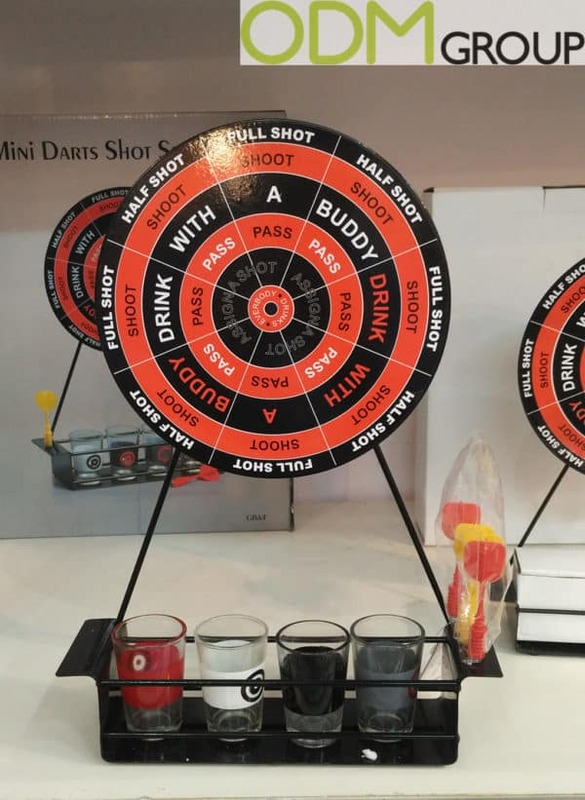 Customers will take your product off the shelf without even thinking about products price, seeing that they can take a mini darts game shot set as a promotional gift with purchase. Everyone will estimate your idea how to make parties funnier. Giving this item as gift with purchase you could bring benefit by increasing the cost of your product because of competitive advantage. Customer retention. It is important not only attract but retain customers. You could increase loyalty of customers by providing them more than only good quality of product or cheap compare with other brands production. Participating some promotional campaign customers understand that your company is really good and they ready to waste their money with you again. This is a quite funny and unusual promotional gift. If you are interested this product then contact us today and quote ODM-1226. ODM has years of experience in designing and manufacturing inspirational ideas for your brand! In the past we have had other blogs showing other types of promotional products and their offered games, including a Guinness Mahjong set for promoting St Patrick’s Day, branded beer bong tables for those house parties, a drinking shot glass chess set, and famous childhood board games. For more information about these, check out the blogs below!